I don’t often discuss trade idea results from the subscriber letter here on the blog. The last time I did was in January. 2012 so far has been a very strong year and many subscribers have written to say they’ve benefitted. The reason I don’t often post results is that while I’ve always tracked trade ideas in the subscriber letter, it isn’t the main focus of the service. I don’t consider Quantifiable Edges to be a stock picking service. I consider it one where traders can gain market and trading knowledge through the published research, systems, and tools. The objective is to provide tools and instruction to help traders improve their own trading and results. But the published trade ideas have done quite well. In fact, only 1 month of the last 21 months have the trade ideas failed to add up to positive gains. 2012 so far has seen positive gains every month. And the Catapult trades, which make up the CBI, have not had a single losing cluster (or group of trades) in over 3 years. I don’t suggest position sizes, and I would never suggest that the trade ideas represent any kind of complete portfolio strategy. They are what they are – ideas about certain stocks or ETFs that have historically provided a statistical edge. It is important to note that all of the trade ideas are in either ETFs or in highly liquid large cap stocks (almost exclusively S&P 100 components). I do this so that executing trades and getting fills at reasonable prices is not an issue. I think traders feel the most frustrating aspect of following trade ideas offered by some services is not being able to get into or out of the trades that they suggest at a similar price. I’ve addressed this problem with limit prices and highly liquid securities. Some of my goals with a gold subscription have always been to help people improve their trading through the use of quantified research, and while doing so to help them offset the costs of the subscription by offering easy-to-execute trade ideas with a long-term positive profit expectancy. To date I believe Quantifiable Edges has succeeded in doing this. As I did 6 months ago, I have again broken down the results by year. For tracking purposes I only count trades after they have been closed out. With most trades being of the swing variety this doesn’t normally skew results much. But it does occasionally when a big trades lasts over a month or year-end. Below are the results by year. Stats have been strong across the board in 2012, with “% win” and “profit factor” really standing out. I’ve become a bit more selective the last year and a half, which has led to a small dip in the number of trade ideas, but has also seemed to help with winning %. 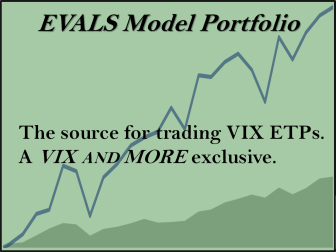 For those that are interested, the complete list of trade ideas from 2008 – present can be downloaded from the systems page of the members’ section of Quantifiable Edges. (Available to paid and trial subscribers.) And with the full archive of subscriber letters available on the site, gold subscribers can also go back and see what I wrote about any trade and my reasons for entry and exit when it happened. With a subscription to Quantifiable Edges I try and provide traders with ideas and instruction to improve their trading. 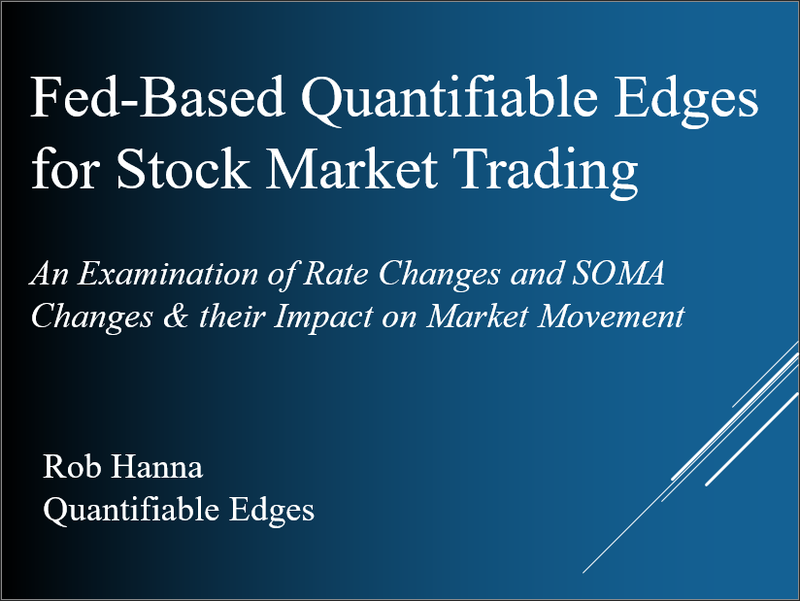 These ideas may come in the form of previously published studies identified by the Quantifinder, or they may be something I discuss in the current subscriber letter, or perhaps it’s a webinar focused on a certain trading approach or indicator, or any other number of tools that I’ve designed and made available. (For a more complete list of tools, see the “Using Quantifiable Edges” series of posts.) The trade ideas found in the subscriber letter are examples of how I put these tools and ideas to work. While past performance is not necessarily indicative of future results, over the long run they’ve performed well enough that many subscribers have used them for their benefit. For more information on a gold subscription, or to subscribe, click here. Lastly, below is the explanations and disclaimer from the Trade Ideas Results Spreadsheet. All trade ideas ever tracked in the Quantifiable Edges Subscriber Letter may be found on this spreadsheet. I don’t suggest position sizes. The primary reason for this is I’m not acting as a financial advisor. I don’t feel it is appropriate to suggest allocation sizes without understanding someone’s financial situation and risk tolerance. Even for my own trading I run different portfolios with different levels of aggressiveness. For instance, my most aggressive may use options to sometimes get 300-400% leveraged. Other portfolios on the other hand normally take much more conservative stances and some rarely reach or exceed 100% exposure. It’s unlikely anyone would have taken all of the trades with equal amounts, so personal results would vary greatly depending on the trader’s approach. Simply adding up the results of the individual triggers as I do is an admittedly poor representation of returns. A net positive or negative does not necessarily mean a person following the ideas would have made or lost money during the period measured. And the sum total is certainly not representative of what a portfolio would return. 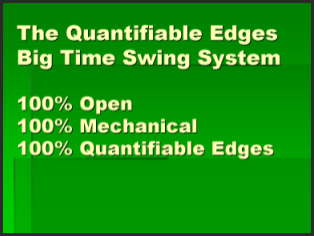 Feel free to contact me at support @ QuantifiableEdges.com if you have any questions. As required by the NFA: Except where otherwise specifically stated, all trades are based on hypothetical or simulated trading. Hypothetical or simulated performance results have certain inherent limitations. Unlike an actual performance record, simulated results do not represent actual trading. Also, since the trades have not actually been executed, the results may have under-or-over-compensated for the impact, if any, of certain market factors, such as lack of liquidity. Simulated trading programs in general are also subject to the fact that they are designed with the benefit of hindsight. No representation is being made that any account will or is likely to achieve profits or losses similar to those shown. Commissions, fees, and slippage have not been included. This is neither a solicitation to buy/sell securities or listed options.